Finally.. a new cutterpede :) Mine broke in three... long story. LOL. sounds like it would be a funny story?!?! lol! is this a layout in the works? 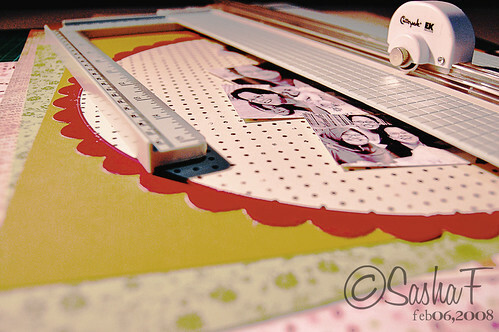 love the green with the red scalloped edged paper ... you have the knack for fun color combos!